With the tremendous support extended by the Guild of Service, the Mahila Panchayats at Shyam Vihar and Qutub Vihar, Najafgarh supported by the Delhi Commission for women are successfully accomplishing their mission towards the social equity. Presently 110 members of the Panchayat united and gave assistance about the various issues related to law and justice. The members of the Mahila Panchayat also discussed the law and community link with the women to solve the cases. The Mahila Panchayat intervenes not just reactively when cases of violence or marital discord occur but also proactively work to change the predominantly patriarchal mindsets by spreading awareness among the women about all their rights. 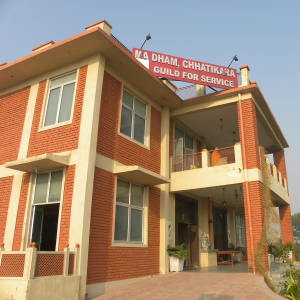 Constructed, operated and supported by Guild for Service, Maa Dham is a home for homeless and destitute women. The Guild For Service is a national voluntary developmental organization dedicated towards the empowerment of marginalized women and children.